Project services performed by J&A included: Land Surveying, Master Planning, and Civil Engineering Design services for a 14 acre residential development. 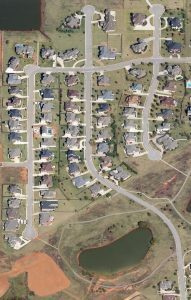 The subdivision contained 28 residential lots developed in accordance with the City of Madison, AL subdivision regulations. Project elements included boundary and topographic survey, subdivision master planning, roadway design, site grading, utilities design, erosion control, construction administration and construction inspections. 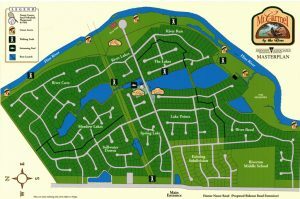 J&A provided Land Surveying, Master Planning and Civil Engineering Design services for this 42 acre residential development surrounded by wetlands. 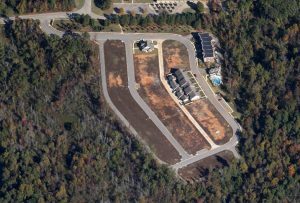 The subdivision contained 74 townhome lots and was developed adjacent to the Bradford Creek Greenway in the City of Madison, AL. Project elements included boundary and topographic survey, subdivision master planning, roadway design, site grading, utilities design, erosion control, construction administration and construction inspections. Approximately 24 acres of the 42 acre site was designated as wetlands under the jurisdiction of the U.S. Army Corps of Engineers. J&A worked with the Corps on the wetlands delineation, surveyed the delineated wetlands boundary and designed the residential lot lines to be contiguous with the wetlands boundary. Additionally, we worked with the contractor during construction to ensure the wetlands were not disturbed and the erosion control best practices plan was implemented and maintained correctly. J&A provided Land Surveying, Master Planning and Civil Engineering Design services for this 780 lot residential subdivision. To mitigate downstream impacts from development of the project, J&A designed lakes for use as stormwater retention facilities, including earth core dams. Other tasks included: topographic surveying, master drainage plan, lot and roadway design, septic system design, and construction plans.